Motivated Seller!! 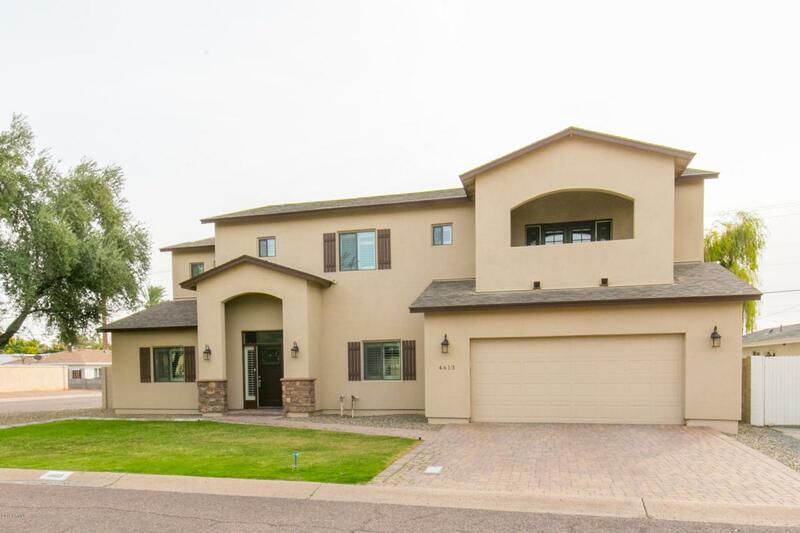 Bring us your offer on this beautiful 4 bedroom, 4 bath with den home for sale in Arcadia that has a spectacular view of Camelback Mountain! This lovely & well maintained home features new paint, plantation shutters throughout, epoxy coated garage flooring, stainless steel appliances, built-in Refrigerator, granite countertops, oversized kitchen island, tiled backsplash in the kitchen, abundance amount of cabinet space, split master suite with separate exit! The master suite features french doors that lead you to a covered balcony with amazing views of Camelback Mountain, huge walk-in closet, dual sinks & separate soaking tub! Heart of Arcadia and Hopi/Arcadia school district that is close to all the happenings in Arcadia!